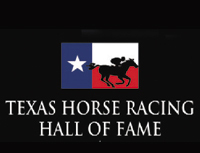 On Saturday October 1, the Texas Horse Racing Hall of Fame will induct four extremely worthy nominees into its elite membership during a special Gala ceremony at Retama Park. This year’s slate of inductees will include National Horse Racing Hall of Fame member and legendary trainer D. Wayne Lukas, philanthropist and Thoroughbred enthusiast Josephine Abercrombie, Paint and Quarter Horse owner and breeder Herbert Graham, and Quarter Horse legend Miss Princess. No one is more responsible for improving the image and complexion of modern Thoroughbred racing than former Texas resident D. Wayne Lukas. After living in Laredo and El Paso, Texas for many years, Lukas settled in California in 1972 and began training Quarter Horses before making the switch to Thoroughbreds in 1978. He has now become the most successful trainer in the history of the Breeders’ Cup World Thoroughbred Championships, with 17 wins from 134 starts and earning of $18,128,000. Lukas has also saddled the winners of 12 Triple Crown races (four Kentucky Derbies, five Preakness Stakes, and three Belmont Stakes). Over the years, D. Wayne Lukas never lost his love for Texas and Texas horse racing. Mr. Lukas has continually donated his time, talents and money to many of our efforts to improve our industry here in the Lone Star State. Mr. Lukas’ tireless dedication to the sport of horse racing and state of Texas makes him perfect for induction into the Texas Horse Racing Hall of Fame. Horses were just a normal part of Josephine Abercrombie’s life growing up in Texas. At the age of seven, she was introduced to American Saddle Horses, and as a young woman, she would become a record holder at Madison Square Garden for prizes won in a single season. The horse show circuit led her to major competitions in Louisville and Lexington, Kentucky, where she found herself captivated on her first visit to the Bluegrass in the 1940s. In 1949, Abercrombie took an interest in Thoroughbred racing and set up a racing syndicate involving her father, the late Houston oilman, J. S. Abercrombie; an uncle; and a couple of friends to purchase sales yearlings for training and racing. Doing quite well in racing, she and her father acquired a 1,348 acre farm arm in Woodford County, Versailles, Kentucky in 1952, establishing a Thoroughbred breeding farm and calling it Pin Oak. For 50 years, Pin Oak has been an accomplished breeding and racing operation, producing such notable horses as Laugh and Be Merry, who won the Eclipse Award as champion turf female, and Sky Classic, who won an Eclipse Award for champion turf horse. It was also a momentous year for Pin Oak in 1995 when Peaks and Valleys received the Canadian Sovereign Awards for Horse of the Year and Champion Three-Year-Old Colt, Hasten to Add won the Sovereign Award for Champion Grass Horse, and the Thoroughbred Owners and Breeders Association (TOBA) recognized Pin Oak Stud as the state and national Thoroughbred Breeder of the Year. Josephine Abercrombie was instrumental in the passage of pari-mutuel racing in Texas in the 1980s with her active support and political contributions to the effort. The attention that she brought to the Lone Star State with her award-winning farm and her generous support of Texas racing have earned her a prominent spot in the Texas Horse Racing Hall of Fame. Herbert Graham has been one of the most active supporters of horse racing in Texas for more than 20 years. Herb and his wife, Ginger, operate Graham Farms in Gardendale, Texas. The farm has been home to many top American Quarter Horse stallions such as the champions and leading sires Rocket Wrangler, Moon Lark, and Easily Smashed. Active in the entertainment business for many years Graham was able to get a sponsorship for a major futurity from a brewery and, in 1983, ran the first Graham Farms Futurity at Val Verde Downs in Del Rio. Before the return of pari-mutuel wagering to Texas, the Graham Farms Futurity consistently hit the $250,000 mark and had a $325,935 purse in its third running in 1985. One of the most popular races in the nation, the Graham Farms Futurity assumed Grade One status. In the 11 years during which Graham Farms co-sponsored the race, the Graham Farms Futurity paid out $3,160,437. The Graham Farms Derby, a companion race for the Graham Farms Futurity, paid out $923,195 over 11 years, bringing the total of the Graham Farms races to nearly $4.1 million. Herbert Graham worked extensively with the late Pinkie Roden to get pari-mutuel wagering legalized in Texas, and he was one of the original 10 to invest $10,000 to start pari-mutuel racing in Texas. Herb has been long active in various horse racing associations and active politically on the state and national levels. Miss Princess, who was actually named Woven Web, was a highly efficient racing machine, who began her racing career at Mexico City in March of 1945. Owned by Bob Kleberg, patriarch of the King Ranch, and of produced from straight King Ranch Thoroughbred bloodlines, Woven Web was sired by Bold Venture, winner of the 1936 Kentucky Derby and Preakness Stakes. Winning four of six starts while racing south of the Rio Grande, from a quarter-mile to five furlongs, Woven Web equaled the world record of :27.2 for 550 yards. Later, running under the name “Miss Princess” on tracks sanctioned by the American Quarter Racing Association, she won 10 of 10 official outs and set a world record of :22 flat that stood for 33 years as the track mark at Del Rio, Texas. Perhaps Miss Princess’ most famous race was against a seemingly unstoppable Shue Fly, who seemed untouchable on the Quarter tracks throughout the 1940s A three-time world champion, the New Mexico-bred Shue Fly met and defeated all who tried. On October 27, 1946, Woven Web won a decisive victory in the Eagle Pass Championship, clocking a :22.6 over a track no better than good. However, so as far as Kleberg was concerned, nothing would be proven until Woven Web ran at Shue Fly. That match took place on May 3, 1947 and was one of the most anticipated races of the time. Miss Princess was ridden by Pat Castile of Rayne, and Earl Southern of California rode Shue Fly, both packing 111 pounds. Miss Princess pranced up the track and circled in front of the packed grandstand in the post parade, while Shue Fly strode with confidence under the talented hands of her California jockey. From the time the gates flew open, the Texas mare bolted to the front, with the New Mexico mare a wink behind. Miss Princess was ahead at each of the distances and equaled Shue Fly’s record of :22.3 while winning by a half-length. Miss Princess was kept at the King Ranch and was run against anything that was brought in. She emerged victorious every time she was sent with Castile to the post. Miss Princess finally retired in mid-1948, when there was simply nothing else to conquer or prove. The Texas Horse Racing Hall of Fame will bestow its Humanitarian Award to Texas Horsemen’s Benevolent and Protective Association (THBPA) President Jim Helzer. In addition to his past and present leadership roles with the THBPA, the Texas Horsemen's Partnership (THP), the American Quarter Horse Association (AQHA), the Texas Quarter Horse Association (TQHA) and the Texas Thoroughbred Association (TTA), Mr. Helzer established The Refrigerator Challenge fund to study injuries in racehorses. The program was created by Jim and his wife, Marilyn, in memory of American Quarter Horse racing's all-time leading money earner and multiple World Champion, Refrigerator. The goal of the Refrigerator Challenge is to raise $200,000 in permanent funds for research involving trauma-related injuries and treatments. To help achieve the fund’s goal, Mr. Helzer has pledged money in the form of matching donations. Mr. Helzer’s tireless commitment and financial contributions to improve Texas horse racing though legislative efforts and educational research have earned him this prestigious award. For ticket information and reservations to the Gala ceremony on October 1, which will be emceed by Chris Lincoln, please call Frances Rushing at (210) 651-7117.